1-1/2 cups currants, soaked in hot water for 5 minutes and drained. 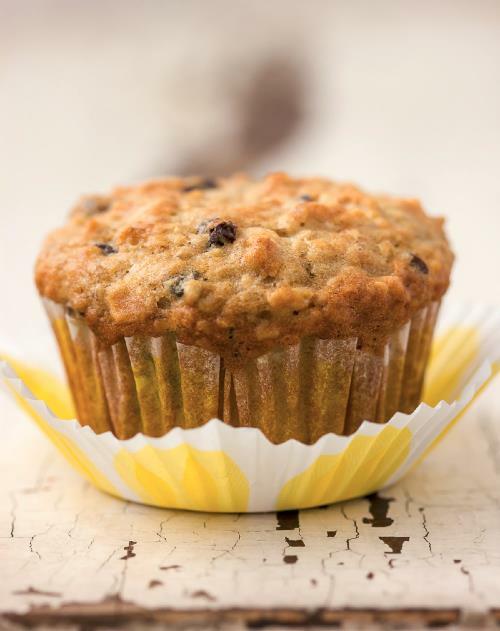 Line a muffin tin with paper liners or grease with butter. Whisk in the mashed banana, buttermilk, oil, and vanilla. Gradually add the dry ingredients, stirring gently with a wooden spoon. Do not over mix or it will toughen the dough. Spoon the batter into the muffin pan, filling each almost to the top. The muffins will darken in color and the tops will have a hard crust. A toothpick inserted into the center will come out clean. Remove and place the pan on a wire rack. Let sit for a few minutes, then remove the muffins from the pan.